Our team’s passion is found in patterning your interior design from your unique needs. A feasibility study in discussing your company’s needs is the first step a critical part of the design process. When discussing your office interior design, we’ll ask you many questions about your vision for the space. We’ll need to know all about your company – your image, brand, goals, and more. 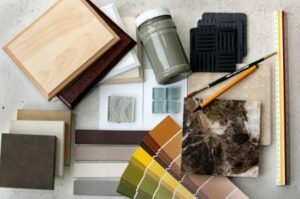 Our design will need to fall in line directly with your needs and limitations – this includes what sort of space and storage needs you have, your time table, and your budget. The more information we have about your hopes, desires, and needs, the more closely we’ll be able to meet those demands. This preliminary client meeting is perhaps the most important step of our professional relationship. At this time we meet face-to-face to discuss project goals, design requirements, priorities, budget, schedule and fee structure. We work with your vision and develop a comprehensive plan that is time and budget sensitive. Technical and regulatory needs are addressed in the beginning of the design process to avoid surprises leading to expensive delays and setbacks. Design solutions will be presented and communicated precisely to the client by means of drawings, sample materials and where necessary story boards, so that the client can visualize every aspect of the intended design and decor. helping you resolve another design dilemma of your choosing!